Women from across the world are coming together to boost their presence in STEM & arts. Over three weeks this October-November, 50 women who work in science, technology, engineering, arts and mathematics (S.T.E.A.M.) 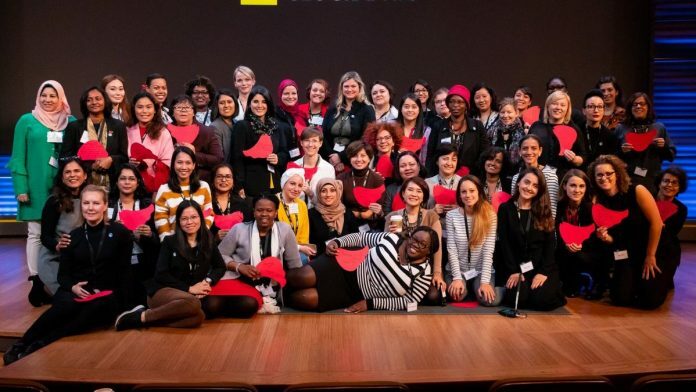 in 50 countries and territories around the world travelled across the United States for a one-of-a-kind exchange programme aimed at evening out the gender gap in these fields. ‘Hidden No More’, one of the US State Department’s international visitor leadership exchange programmes, is the first to be inspired by a Hollywood movie. Based on the eponymous book by US author Margot Lee Shetterly, Hidden Figures (2016) is about three exemplary female African-American mathematicians at NASA who played a significant role in the success of its space programme despite their struggles with racism and sexism at the male-dominated space agency. The first ‘Hidden No More’ took place in 2017 with 48 participants who “represented ‘hidden talent’ in their home countries”. This writer was part of the programme’s 2018 edition as a representative of India and TheLifeofScience.com, a media platform dedicated to highlighting Indian women in science. The programme is centred on exploring and examining the efforts made by the US to shatter the gender gap, with the idea that delegates try to recreate them in their home countries. The gender gap in STEAM is a worldwide problem, but reasons vary across regions. In the US and Europe, young girls reportedly face a lot of stereotypes that turn them off the subjects. In India and other Asian nations, this isn’t a problem: Since academic acumen and well-paying jobs are the top priority for families in developing countries, the stress on children (who receive education) to do well in math and science is typically non-gendered. And yet, India has a shortage of women in STEAM fields, indicating that there is a need for an education culture that’s more imaginative and inclusive, and workplaces that allow a level playing field. Lessons from other countries can help India be more inclusive. The US is three times larger than India in size, many times richer, and with just a quarter of our population. Though American practices cannot be copy-pasted to our country, they can certainly be re-imagined to be effective in India. One example is the STEM Early College at the North Carolina A&T State University, a public high school that seeks to prepare its students for careers in the given fields. “We are here because we want to learn. I don’t feel like a statistic here,” said one earnest tenth-grader, while her senior talked about her research on sexual objectification of women in art. It was a poignant scene: A room of empowered high schoolers referring to themselves as women as they spoke of their dream careers. A staff member here is in charge of ‘college pathways’: The role has been dubbed ‘opportunities facilitator’ since she helps students decide their focus areas and makes sure each of them thinks about how they can use their pathway to fix world problems. Change for inclusivity is not the result of strong figures at the top alone, but driven by battles fought by employees at every level. At a group discussion during the programme, a scientist from the National Institutes of Health (NIH), a leading medical research centre based in the US, said much of the change had begun with a few “dissatisfied women”. NASA had its own “dissatisfied woman” in electrical engineer Florence Tan, who, in the 1990s, led the fight to have designated lactation rooms on the premises. Back home as well, there is an ever louder demand for better work environments for women juggling their roles as professionals and mothers. When Mayurika Lahiri, a cancer biologist at IISER Pune, helped start the institute’s first daycare centre in 2009, she sparked a new trend across multiple scientific research centres around the country. There is still some way to go, however, as the majority of scientific and educational centres in India continue to function without childcare facilities for employees – a factor that often prevents women from returning to work after motherhood. The most valuable part of a programme such as ‘Hidden No More’ is the exchanges it facilitates among participants recognised as potential future leaders, with several attendees also resolving to undertake personal projects to further the cause of gender parity. Last year, British physicist Jess Wade announced at the programme that she was challenging herself to write one Wikipedia entry a day for a woman or underrepresented individual in science in 2018. By July this year, Wade had already crossed 270 entries. Needless to say, Wikipedia entries highlighting women’s contributions are scarce in India as well. However, there have been periodic attempts to correct this imbalance by non-governmental organisations such as India Bioscience, Breakthrough India, Centre for Internet and Society, and Feminism in India through Wikipedia ‘edit-a-thons’ (Wikipedia is a crowd-sourced portal that allows users to edit entries). Cultural learnings from such exchanges among nations can offer a window into our own country’s past and future, providing perspective and inspiration to ensure that diverse scientific and artistic talent remains ‘hidden no more’.